RIT is the place that invents new and better ways to move the world forward. 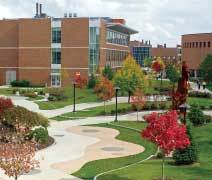 The RIT student body consists of approximately 15,950 undergraduate and 3,100 graduate students. Enrolled students represent all 50 states and more than 100 countries. More than 3,300 students from diverse racial and ethnic backgrounds are enrolled on the main campus along with approximately 2,700 international students. An additional 2,400 students are enrolled at RIT’s international campuses. RIT has the fourth-oldest and one of the largest cooperative education programs in the world, annually placing more than 4,400 students in nearly 6,000 co-op assignments with more than 2,300 employers across the United States and overseas, with students earning more than $45 million. Experiential learning also includes internships, study abroad, and undergraduate research. RIT’s nine colleges offer more than 80 undergraduate degrees that can be combined with more than 90 minors. The student-faculty ratio is 13:1, and the average class size is 22. Nearly 90% of our classes have fewer than 40 students. More than 300 student clubs and organizations sponsor more than 1,300 events and activities annually. Trending career outcome data suggests the demand for RIT graduates remains strong. Over the past three years, the overall outcome rate for graduates in all degree programs averaged 95%. More than 77% of full-time undergraduates received more than $320 million in financial aid. The University provides unparalleled access and support services for the more than 1,000 deaf and hard-of-hearing students who live, study, and work with hearing students on the RIT campus. As one of the world’s leading technological universities, RIT is the place where curious minds unite through creativity and innovation, for the sake of inventing new or better ways to move the world forward. It’s a diverse community teeming with students working with experts and specialists. It’s an intersection of disciplines, a launching pad for a brilliant career, and a highly unique state of mind. It’s a perfect environment in which to pursue your passion. Few universities offer RIT’s variety of specialized career-oriented programs. 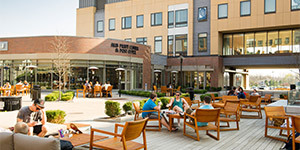 RIT’s nine colleges offer a broad array of more than 80 bachelor’s degree programs that attract scientists, engineers, entrepreneurs, and computer scientists on the one hand and designers, artists, photographers, and filmmakers on the other. You may choose from more than 90 different minors to develop personal and professional interests that complement your academic program. RIT is a world leader in experiential learning. Every academic program offers some form of experiential education opportunity designed to enrich your learning experience by providing you the opportunity to apply what you learn in the lab, classroom, or studio to real-world problems, projects, and settings. Experiential education takes many forms, including cooperative education, internships, study abroad, undergraduate research, and industry-sponsored project work. Cooperative education (co-op) is the most extensive of RIT’s experiential education opportunities. Many academic programs require co-ops, while others make it available on an optional basis. Taken all together, this means positive outcomes from your RIT experience.